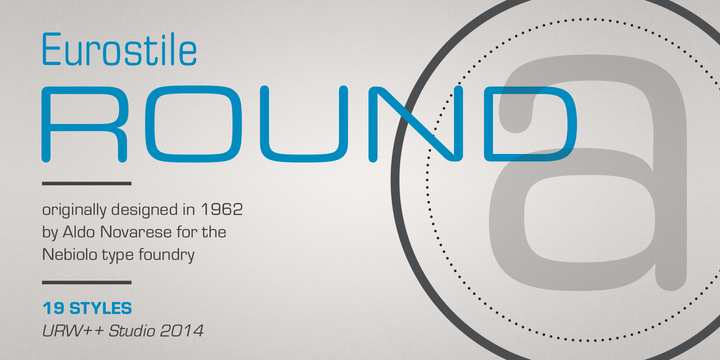 Eurostile Round is the newest geometric sans-serif typeface published by URW++. This font is based on the most popular sans-serif font of all time, Euroline, and it comes in 19 additional styles, perfect for web. A font description published on Thursday, September 18th, 2014 in Fonts, URW++ by Alexandra that has 4,055 views.